It’s the last Tuesday of the month, and so a new Game Night Blog Carnival is underway. Each month, this blog and several others will be stepping back from D&D and/or RPG coverage to look at other tabletop games. This month, I wanted to write about my experience at Origins playing a demo of the soon-to-be-released dice building game, Quarriors. One of the biggest hits in gaming the past few years has been the card game Dominion. Dominion is a deck building game, where players begin with a small deck of cards, and add more and more cards to their deck as the game progresses. The basic idea is that when you put a new card in your deck, it will get drawn to be used later on. 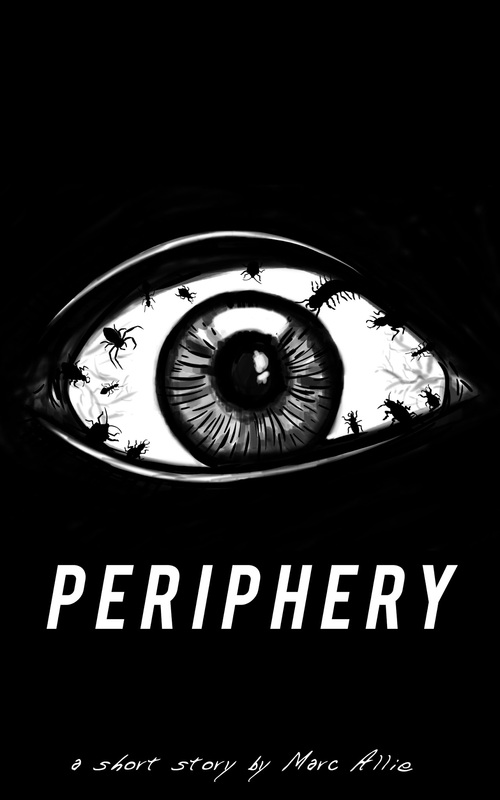 It’s a very intriguing concept, and an entire genre full of deck building games followed. Quarriors uses a similar basic mechanic, but eschews cards in favor of dice. Instead of building a deck of cards to enable you to win the game, you buy dice to add to your bag. Some dice are creatures and spells, which vary from game to game, while others are basic utility dice that are used every time you play. Some of these “basic” dice provide quiddity, the oddly-named resource used to buy new dice or summon creatures. When you buy a new die, you move it to your used pile, a sort of discard zone where they wait to be added back into your bag. So, when you buy that shiny new Questing Wizard die, he won’t show up again until you empty your bag, at the very least. The object of the game is to score glory points. At the beginning of your turn, any creatures you have that are still alive score points for you equal to their glory value, which is printed on the representative card in the middle of the table. A scoreboard is provided for players to keep track of who is winning or losing. In a two player game, more points are required for a win, while in a four player game, fewer are needed. Sounds easy, right? Well, it isn’t, because each turn, your opponents will be summoning creatures to use, as well, and thus the chances of your precious Quake Dragon or Primordial Ooze surviving until your next turn are slim, indeed. The fact that the basic commodity in the game is dice, rather than cards, means there is a tremendous variety in play. You may draw your incredible Witching Hag die, but you might get unlucky and roll the face that just provides quiddity. This effect can be minimized by purchasing dice that allow you to reroll other dice, such as the Assistants that you begin the game with. Because of this unpredictability, each game of Quarriors will play out much differently than the last, even if the same “store” of purchasable dice is used. Another great addition is the fact that there are three different cards available for each particular die, meaning the Deathdealer die in one game might be totally unlike the next. Quarriors plays very quickly, and it was fairly simple to pick up, even for our first time playing. After just a few minutes, our table of four was off and running, and we only needed to stop a few times to ask for help from the demo folks. But this relatively easy learning curve belies the depth and strategy that is provided. There are plenty of interesting decisions to be made each turn. Do I use all my quiddity to purchase a powerful die that won’t help me immediately, or do I buy a cheaper die and summon a creature instead, hoping it will live long enough to score some glory next turn? When my Apprentice comes up on the reroll face, which die do I choose to reroll? There are many different factors that must be considered, but the pace of the game is so quick that downtime due to analysis paralysis isn’t an issue. 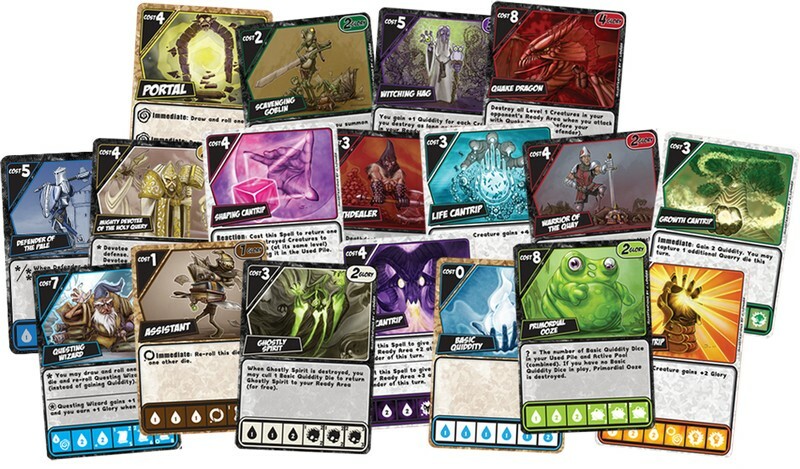 Another feature of Quarriors that must be mentioned is the high production value. There are over a hundred dice in the set, beautiful and colorful, yet easy to read. The art on the cards is excellent, with a distinctive, manga-like look. 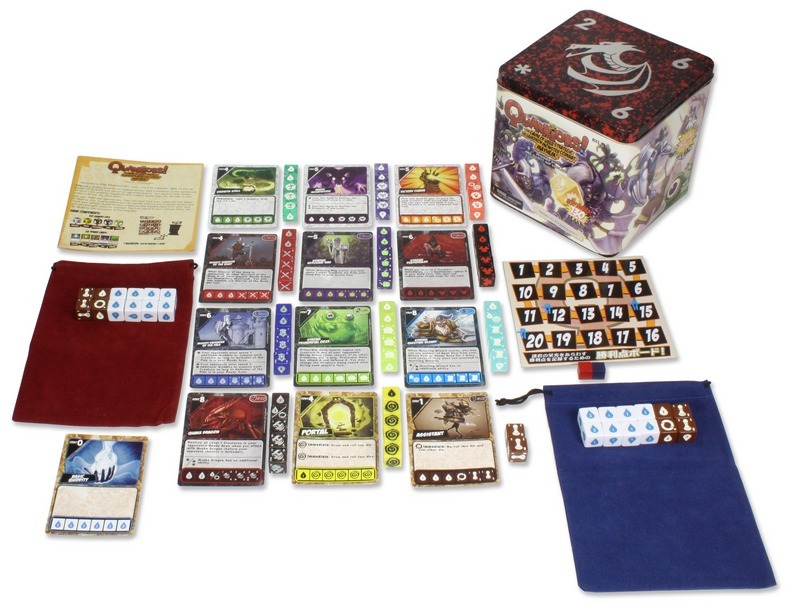 The game comes in a sturdy tin, and even includes the dice bags you’ll need to play. 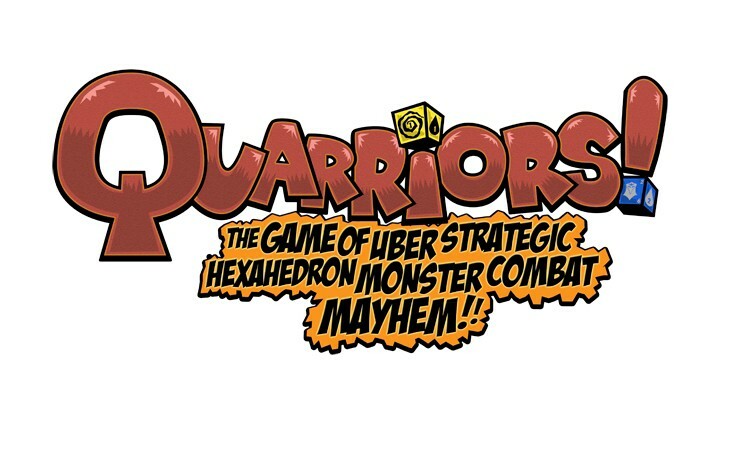 My two sons, ages 10 and 16, really enjoyed the game, and so did I. I was ready to purchase a copy of Quarriors right then and there, but unfortunately the game will not be available until August. I cannot wait to get my hands on a copy, and plan to purchase it as soon as it is available. Quarriors was easily the best new game I tried at Origins, and is definitely one to keep an eye on in the coming months. Oh, very cool, a not-yet-released game. I like it! I also like Dominion, so I may have to check this one out.